One of my favorite fan emails! Although I appreciate and love all emails from my fans, this one in particular is one of my favorites, and one I'll share with you. My name is J. I am fourteen years old, live in Alberta; and love Whale Song. this email is simply to thank you for writng 'my favorite book of all time'. I read it yesterday, and literally I couldn't put it down. the only time I did was to eat breakfast, and is my mother would have let me, believe you me I would have read it while eating as well. I'm already on my second round of reading it. I don't think that in my life I have ever cried so much at a book. I sat on my bed while reading it slinging to my pillow, that rested un der my chin to catch my tears. I weeped throughout the entire thing (well almost). My mom would come in and say for my to stop rubbing my face on my pillow and get a kleenex, but I didn't want to stop for even a little moment. My grandmother (whom I call nanny) got Whale Song for me as a Christmas gift. She said she saw you in the store signing books and said she simply had to buy me and autographed copy. Me and Nanny always talk about the good books we read, and believe me she was one of the first people I called up to ramble on about my new 'obsession'. Anyways I should get back on track, She got this book for me as well as a few more, and I had saved it for last, scince it was the most colorful, and most inviting. See when I recieve books in order to make sure I stay on top of my reading lists, I leave the books I want to read most for last, so that I will be encouraged to finish the ones before it faster. And just Thurday night I finished 'The Golden Compass'. And Saturday morning I woke up at six, because a squirell had annoyed my puppy, Jodee. I looked at my book self and then at the one lonely book sitting there that had not yet been read, and scince I can't fall asleep after being woken up, I grabbed it and crawled into bed to read. At 10:00 my mother came in calling me down to eat some breakfast, and that was basically my only break from the book. Your book captured me. It is one of those few books I've read that I think of long after I have read the last page. I want to thank you for writng such a powerful book, in many dimensions. I know it will be my favorite book for a very very long time. I'm looking forward to reading many other times then the two times I have already read it. For me, receiving emails like this one absolutely makes my day. It makes me remember that part of the reason why I write is for my readers. The other reason why I write is because I simply have to--for ME! Please keep sending me your emails, and remember that posting reviews on Amazon or Indigo is also a wonderful way to show your support of my work. I love stumbling upon a new review! Today I received an email from an aspiring writer and I thought I would share it with you, and share my reply. work, or go directly to publishing houses? Should I go with a smaller publisher, just to get my foot in the door? Any advice you can give me would be helpful. Thanks. Congratulations on completing your first ms!! You should be proud of yourself. Many people start a ms, but never finish. There are a number of things you should do or consider. Pick up a copy of Writer's Market and Canadian Writer's Market. You can get these at Amazon or Indigo or your local book store. These are valuable resources for a writer, with listings for publishers, agents, magazines and more. Join a local writer's group...something that meets monthly. Join your local chapter of the Writers Guild. If you live in Alberta go to http://www.writersguild.ab.ca/. If you're in another province, check online. Get a membership at http://www.bookadz.com/ to promote you as an author and your books as they come out. The Gold Adz package gives you unlimited book ads. You should start now in building an internet identity. Don't wait for your first published book. It shows you're a serious, dedicated writer when someone can type your name in a search engine and find direct listings to your site, blog and other links. See this Article! Learn how to write an awesome query letter. Take a course or learn from online sources. Email publishers only if they say they will accept e-queries. Try to get your work critiqued by a professional writer, avid reader with writing skills, editor, etc. Try to have someone read at least the first 3-5 chapters and give you their professional opinion...friends and family don't count. It is often worth paying for this service! Don't send your manuscript out until you've had someone else look at it. Pick up a copy of Self-Editing for Fiction Writers. This is my "bible" of sorts, although I don't agree with everything the authors say, it's a must-have. Contact agents with query letters. Consider your publishing options. More authors are deciding to use POD (Print on demand) publishers such as Trafford or iUniverse or Infinity. I chose this route and have been extremely successful, with the highest most consistent book sales during signings in Edmonton from all local authors. 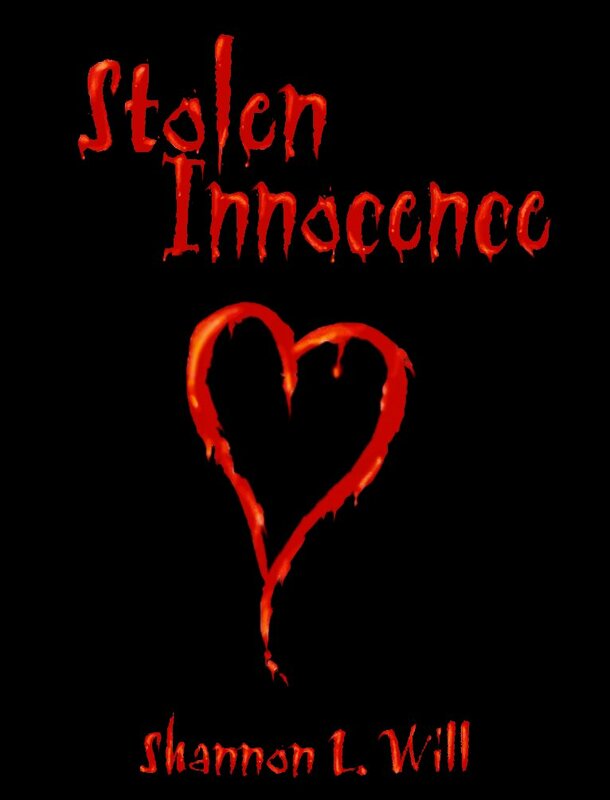 My 2003 debut novel has already received movie interest and has recently been picked up by a traditional publisher. And they are considering two other novels. Check out this article: http://www.bookadz.com/pubwar.htm. If you go this route of self-publishing, make sure you have your work edited by at least 2 professionals. You have one chance with a debut to catch your readers and start building a fan base. You should be contacting agents AND publishers...only those that accept multiple submissions. Try to send out at least one query a week. And while you wait...edit, EDIT, EDIT! I hope this helps. If you're from Alberta, check out http://www.albertaauthors.com/ and get listed. A Fresh New Look at CherylKTardif.com! I invite you to check out the fresh new look at www.cherylktardif.com. I think you'll agree, this new look is less crowded and easier to navigate. Plus I've added a new site map! Some of you will notice I have updated my photograph...well, what can I say? The older version was taken back in 2003, when I had a run-in with a pair of scissors (or a lapse of sanity). The next time I have the bright idea to cut my hair short, somebody please stop me! For someone who is photophobic, I'm getting used to the new photo on my site. Incidentally, the photographer is my best friend and partner in crime (a fellow author, that is! ), Shannon Lea, whose upcoming novel Stolen Innocence will be her debut. No release date set on it yet, but I'll let you know when it's available. For now, please check out Shannon at www.bookadz.com/slea.htm. Other than eliminating my past site (nicknamed "grape"), I've been working on one of my suspense novels--Children of the Fog. And I'm preparing to edit Whale Song (2007) once my editor has finished with it. With the release of a new novel coming out in January 2007, I decided it was time to clean up my website, spruce it up a bit. So, over the next few weeks, I'll be working on this gargantuan project. If all goes well, I expect to launch my fresh new look on June 21st, 2006. So check back around that date to see what's new. Also, expect to see Whale Song 2003 go on sale (if you purchase via PayPal only) sometime around that date. There may even be a way to get a copy of the original collector's item Whale Song absolutely FREE! More news on or before July 15th, 2006. For now, please check out my site at www.cherylktardif.com, and order my books online or through your book stores. Thank you all for your support and caring in the past months, and for the cards of sympathy after my brother's murder. Your thoughts have been greatly appreciated, and I am now getting back to creating. I have finished the Whale Song screenplay, with talented co-writer Alison Neuman, and it will be off to a film producer shortly. I have also finished the new revised special edition of Whale Song, which will be released in January 2007 across Canada and the US to start, and then worldwide. I am exceptional proud to have been offered this book deal by a company based in Ontario, Canada, but with offices in Florida. Kunati Inc. Book Publishers has a sensational vision, with highly motivated, creative go-getters that will aggressively market all Kunati titles. Thank you, Kunati! I apologize to those of you who are waiting patiently for the next in the Divine series. Divine Justice has been delayed in order to work on Porch Monkeys, a book to honor my brother and a book that I believe will be important and possibly impact other people's lives. But, I promise you, Jasi McLellan and her team of psychic agents will not be forgotten. Divine Justice is just around the corner! A Momentary Lapse of Insanity? Ok, the above headline does NOT refer to a new Cheryl Kaye Tardif mystery. The lapse I'm referring to is the five minutes I took today to fill out an entry form for one of the most grueling writers' contests in writing history--the 3-Day Novel Contest. Yes, that does mean that I will attempt to write an entire novel in 3 days. That is, IF I am selected as one of the 12 lucky (or is that crazy?) finalists. At this time, I don't have all the details other than what's posted on the site, but I do know that this national event will be televised on BookTV. The 12 finalists will have to endure sleep-deprivation, bright lights, noise, customers/fans (but we love them!) and other assorted distractions--not to mention enduring gallons of coffee and few pee breaks. At this time, I'm leaving it in the hands of Fate or Destiny as to whether I'll be participating. If they select me, I'll be armed with my deadliest weapons--my somewhat warped brain and my laptop. I'll probably prop up a sign on my table that reads: Please don't feed the animal....bring her coffee instead!! 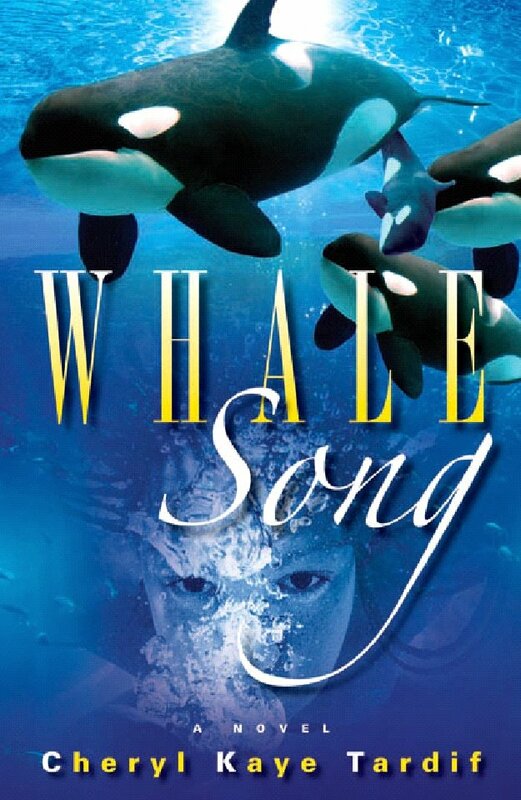 And of course I would take this golden opportunity to promote my Kunati Inc. Book Publishers' release of Whale Song, available in January 2007. Keep all fingers, toes, legs and eyes crossed! Chapters.Indigo.ca, and Writers Guild of Alberta are some of the partners involved with organizing this exciting literary event.